CRAFTWELL IS PROUD TO BRING YOU EBRUSH. Turn markers into spray art with the eBrush by Craftwell! The eBrush is universally compatible with many brands of markers. Simply insert a marker into the appropriate adapter to create stunning art fast & easy! Fully automatic, the eBrush provides steady-flow and professional quality results, in a sleek portable design. Simply insert the desired marker in the brand-specific adapter and turn on the eBrush to get started. Three air pressure options provide freedom to adjust airflow to project needs. 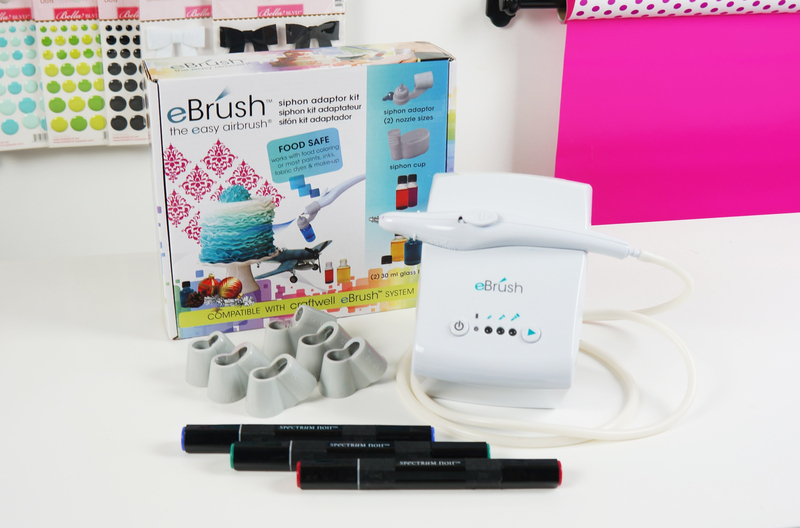 The eBrush works on a variety of material surfaces such as paper, fabric, wood, and more!